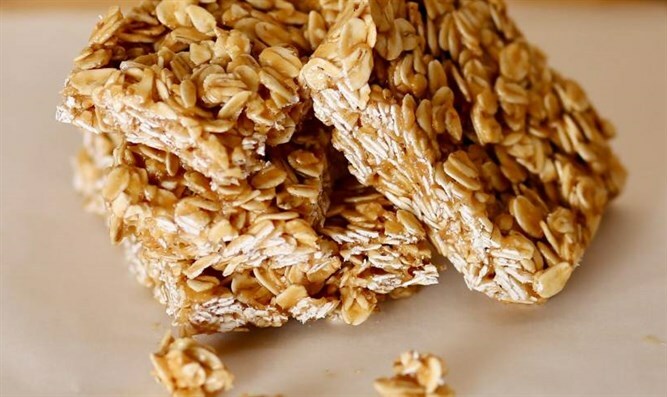 An extremely yummy cookie-type granola bar. In a bowl, mix together flour, ginger, cinnamon, cloves, salt, and oats. Add molasses, followed by the dry mixture. Cool slightly, then cut into rectangles.